Italian Americans pay tribute to their ethnic culture and their country in so many ways all year long. They have a good deal to be thankful for. And so does America. More than 5.4 million emigrated to the United States from 1820 to 1992 in search of a better life. Today there are more than 26 million ethnic Italians living in the United States, making them the country's fifth largest ethnic group. And they love to hold festivals nearly every month of the year, just as Italians do in Italy. Many of these festivals focus on the cuisine that Italian Americans have contributed to the American culinary patchwork; Italian-American heritage organizations often take the opportunity in October to introduce members and others to regional Italian cuisines, which go far beyond pasta. Others celebrate the great art of Italy, from Michelangelo to Leonardo da Vinci. Or the great Italian innovators who have profoundly shaped American history, like explorer Christopher Columbus and geographer Amerigo Vespucci. It's easy to find an Italian heritage festival. 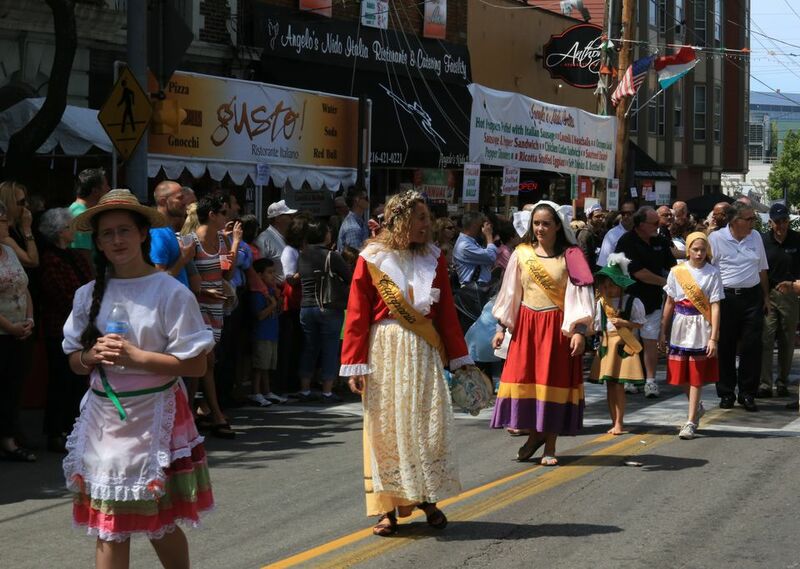 Many coincide with Columbus Day and National Italian American Heritage month in October, but there are spring and summer Italian festivals as well. If you can't make it to a festival, you can still visit Little Italy in a city near you. Here are some great places to find Italy in the United States: the joyful, delicious Italian American festivals held every year from March through October. March: St. Joseph's Day is celebrated in New Orleans in early March. There's a parade organized by the Italian-American Marching Club, and St. Joseph's altars are erected around the city. May: The Memphis Italian Festival is usually the last weekend of May and there's alway plenty of amazing and unexpected Italian food on hand. June: The North Beach festival, usually the second or third weekend of June, is held in San Francisco's best-known Italian neighborhood. The festival itself is said to be the oldest urban street fair in the country. Summer: New York's Little Italy holds a festival every weekend during summer with sidewalk cafes and special events. Again, the food. This is the kingdom of New York pizza, which Italian immigrants brought to the Big Apple. So naturally, there's a lot of that making festival-goers happy. July: Chicago's Venetian Night and boat parade is modeled after boat parades in Venice itself. August: In Italy, the feast of the Assumption, on August 15, is a huge holiday. And Cleveland, where there's a substantial Italian American population, celebrates Feast of the Assumption with a major festival. September: New York's Little Italy can't stay away from festivals. This one in September, the 10-day San Gennaro festival, is the most famous Italian American celebration in America. September: Los Angeles gets in on the action and celebrates its own Feast of San Gennaro during one weekend festival in late September. October: Columbus Day weekend celebrates the man's namesake city, Columbus, Ohio, with an Italian Festival. October: Again with New York? Yes, this time it's NYC's annual Columbus Day parade. Fall: Italian film festivals are held throughout the year both in the United States and other parts of the world. The top Italian film festivals outside Italy tend to be held at this time of year.